Edwin (left) and iWeb (right)both had the crowd in a frenzy. Edwin Yearwood started the competition off with a bang in his yellow taxi, with his high energy presentation of 'Tax-He'. The participant from De Big Show Tent had the crowd in an uproar throughout and at the end of the performance. Also from De Big Show Tent was Chrystal who was second with 'Too Big Fuh De Horse'. While she did not receive the same kind of applause as Edwin, her rendition was near perfect. 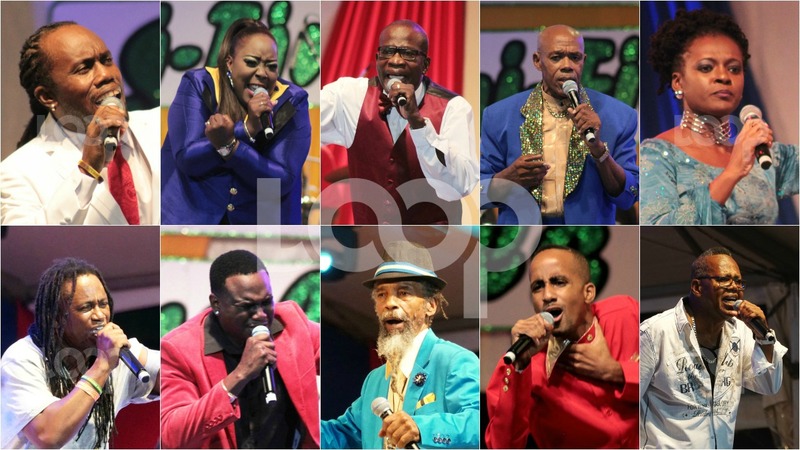 It was three back-to-back for De Big Show, when Adrian Clarke took to the stage with `More Love`. It was a good performance overall and received a positive response from the crowd. Observer was truly a 'Patriot' as he offered a sweet rendition of this nation-building song in position number four. 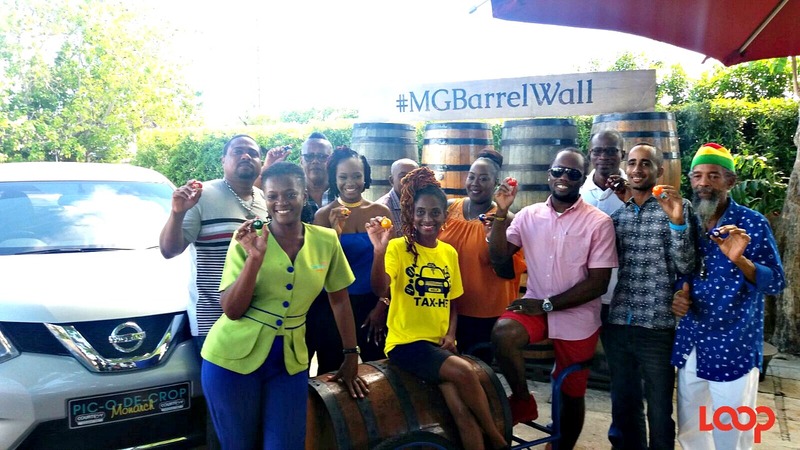 The crowd joined in his performance near the end showing their love of country and appreciation of the performance from the competitor from the House of Soca Tent. 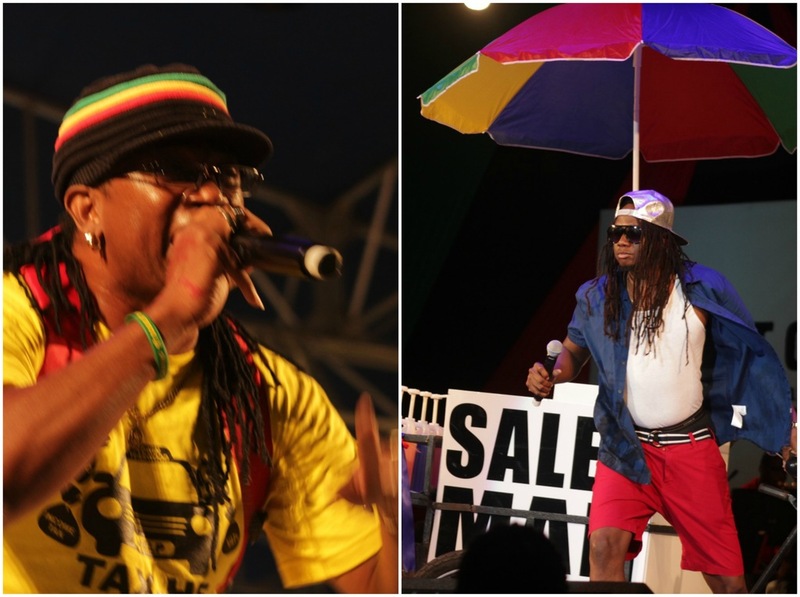 Sir Ruel from the House of Soca brought the crowd to their feet, with his powerful performance of `Run Fuh Cover`. The politically themed song was well received by the audience who were brought alive. Donella brought the crowd into her rendition of `Virtual` in sixth position. The performer from the All Stars Tents provided some comic relief, as the crowd burst out after a man fixed on his phone dropped into a hole at the end of her performance. It was back to De Big Show for the seventh performance, as Classic took to the stage. Querying a wide range of concerns in the Barbadian society through his `If Yuh Don’t Know`. He brought the crowd alive with his picong, with some especially pointed questions for iWeb. Who is your pick to win the 2017 Pic-O-De-Crop crown? Colin Spencer from All Stars had the crowd wondering if they should give DEM `One Last Vote`. He also targetted iWeb in picong which was nicely tied back to his political theme. Defending monarch Aziza, also from the All Stars tent, brought the second nation-building song of the night with 'We Still Standing Tall'. Her strong lyrics complemented her impactful performance. Lone competitor from the Gladiators Tent, Smokey Burke, was 10th with 'Poor-trait'. He offered a good rendition of the song which has strong lyrics. 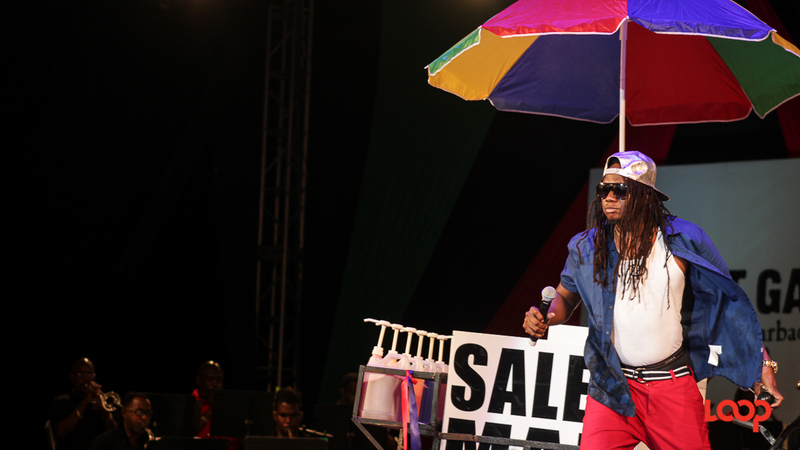 iWeb from De Big Show did not disappoint with his popular 'Salesman'. He rivalled Edwin in crowd response, as the audience were on their feet waving from the beginning of his rendition and had them in an uproar when he was finished. The performance was not only comical as he had some picong of his own, but had strong lyrics and great melody.